You are here: Home » Blog » Massage » What IS a muscle Knot? And how can I make it feel better? You have probably found yourself saying, “I have so many knots at the moment” or “I’ve got a really big knot in my shoulder”. But, can your muscles get knotted? The short answer is: no. · Stress. Mental and emotional stress are major factors in forming muscle knots. · Tension in your muscles. · Injuries due to lifting. · Repetitive action – If you use the same muscle continually, doing the same task (typing, using the mouse, texting, sports), it often exceeds the functional endurance of the muscle – this causes pain. Your body is designed to do tasks using a variety of muscles. 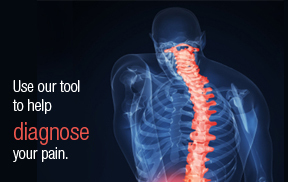 · Poor Posture – this can cause some muscles to be over-stretched, whilst others to be over-shortened. This imbalance is seen consistently in people working on laptops, or who look down at their phones. · Prolonged sitting – If you spend a lot of time sitting at work, you are likely to develop muscle knots due to staying in the same position for prolonged periods. · Lack of vitamins and minerals – especially a deficiency in vitamins B1, B6, B12, vitamin C & folic acid. · History of joint problems. · People who play repetitive sports. · People who work using their hands in a repetitive action. · Gluteal muscles – any of them! · The best and most effective treatment is Soft Tissue Therapy/Massage! · Relaxation. Dedicate time to relax your body and mind – you can try meditation, listen to music, take a holiday, or just give yourself time to lie down for 10 minutes. · Stretching is incredibly important to combat muscle knots; as well as helping your muscle health improve generally. Remember to hold all stretches for 30 seconds or more. Book a Pilates session today to learn what stretches will help YOU most. · Keep gently moving throughout the day to keep fresh blood circulating throughout your body. · Heat Therapy. 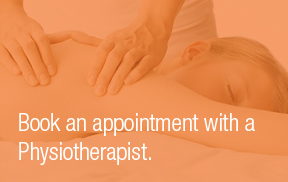 You can ask your Physio or massage therapist for more specific advice. The general rule is to apply a covered heat pad to the sore muscle knot and allow the heat to increase blood flow to the area. · Self-massage with a muscle rub. · Create a healthy, relaxing bedtime routine to increase your sleep daily. · Drink plenty of water (this does not include coffee, tea or fizzy drinks). · Regular massage helps you relax. · Helps you develop and maintain more flexibility. · Massage helps loosen the tight muscles at the trigger point and the surrounding area. · Trigger Point Therapy/Neuromuscular Therapy (NMT). · Massage increases blood circulation to the area. · Human touch helps create a sense of well-being, helping you relax. · Most importantly, they can help educate you on what is going on in your body. 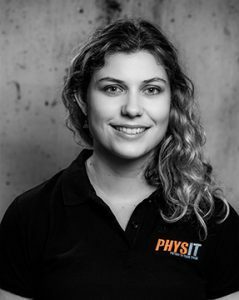 · Soft Tissue Therapists can provide you with exercises and stretches to help. As well as advise you on your posture, and seated position at work.